Far from dismissing the idea, animal welfare groups now support the practice of gifting a pet for Christmas – so long as it's done the right way. With less than a month to go before Christmas Day, here's what you need to know if you're to gift a pet a new home, plus seven tips for success. 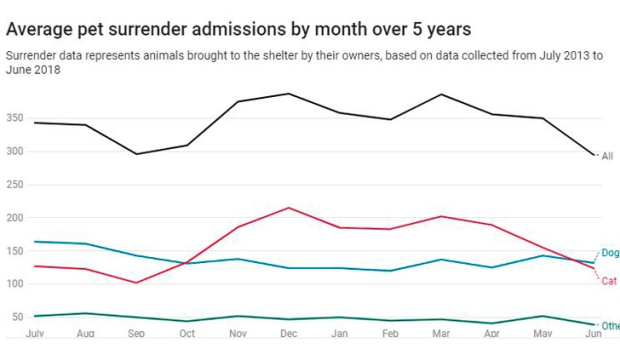 Shelters have learned that drastically reducing adoption fees does not increase the likelihood of pet re-surrender, or the level of people's attachment to their new pet. This figure comes from the Getting to Zero movement which incorporates euthanasia rates from shelters that publish their statistics, such as the RSPCA, and Animal Welfare League(both organisations that don't euthanase healthy, re-homeable animals). Dogs and chocolate don't mix, so keep boxes of chocolates securely in a cupboard. So if you're ready to make the commitment, go on, visit your local shelter and make this Christmas one to remember for you or the owner of the newly adopted pet. Bronwyn Orr is a Veterinarian and PhD candidate at the University of Sydney. Mark Westman is a Veterinarian, Associate Lecturer in Veterinary Microbiology and Animal Disease at the University of Sydney.